Clark’s big reveal of the mission of his tiny force did not go particularly well. A score of his men deserted that night and attempted to make their way to Harrodsburg in central Kentucky. Clark went in pursuit and managed to round up eight of the deserters. Instead of shooting them, as was his right, he had them flogged and distributed amongst the companies of his little regiment in hopes that men of stronger character and morale could keep them on the straight and narrow. After building a fort to serve as a base of operations and to guard the lower Ohio crossings, Clark’s force set off downriver at the end of June 1778, shooting the rapids that make up the Falls of the Ohio at the height of a total eclipse of the sun. Shortly thereafter, Clark was overtaken by a courier who brought electrifying news: France had entered an alliance with the United States. This piece of intelligence would be most useful in winning over the majority-French populace of the region Clark sought to take. On the river, Clark intercepted a couple of American hunters who operated out of Kaskaskia, and they offered to guide the American force there. In order to maintain the element of surprise, Clark landed on the Illinois shore and marched his men overland for six days. The arrived on the evening of July 4, bearded, hungry, tattered, bedraggled and as barbarous looking as any Indian war party. The American frontiersmen infiltrated Kaskaskia in the dark of night and took the town without firing a shot. 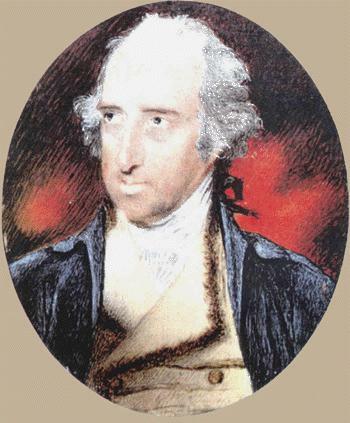 Clark rousted Governor Rocheblave — a Frenchman serving the British Crown — from his bed and informed him that he and his province was now in the hands of the state of Virginia. Clark’s mastery of psychological warfare now asserted itself. He was aware that the appearance of his rough-and-ready men confirmed the frightful propaganda the British had promulgated about the Virginians. He deliberately allowed that frightful appearance to terrify the populace — then immediately subverted it with an open, polite and generous hand. He won over the village priest, Father Pierre Gibault, and broke the wonderful news that their peoples were allies. By the time he detached a small contingent to seize the town of Cahokia to the north on July 5, the French populace was on his side. Clark dispatched the ace scout Simon Kenton and two others to recon the British installation of Fort Sackville at Vincennes 180 miles to the east. Kenton headed back to Kentuckyy (and a horrible captivity ordeal at the hands of the Shawnee) and the other two scouts returned to their commander with the intelligence that the fort was poorly garrisoned and completely unprepared for any threat. Clark immediately sent a detachment to take Vincennes. With no violence, and a skeleton force, the young Col. Clark had seized control of the Illinois country. 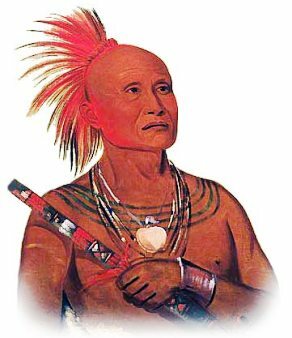 Clark extended his diplomatic brilliance to dealing with the western tribes who came in numbers to Cahokia to take the measure of the Long Knife. With no means of providing the trade goods that usually greased any diplomatic effort, Clark relied on rhetorical flourishes, command presence and a one-man good-cop-bad-cop show to overawe the Indians. Though vastly outnumbered and isolated in potentially hostile territory, he feigned indifference as to whether the tribesmen decided to be friend or foe. He gave out that he was a warrior — which was plain for everyone to see — and that he preferred always to fight, but that he was willing to be friendly with those who proved worthy of his friendship. 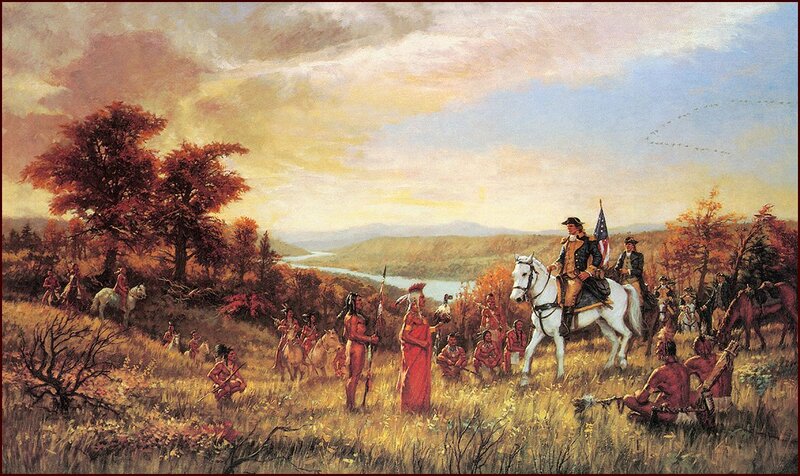 George Rogers Clark made an extraordinarily bold bid to overawe the tribes of the Illinois country. When a party of Winnebago militants attempted to seize Clark and spirit him (or his scalp) off to Detroit for a fat reward, Clark captured their leaders and threatened to execute them. For days he let them think they were going to get the tomahawk. The Winnebago offered wampum and a peace pipe — which Clark smashed to bits with his sword in a gesture that shocked his own people as much as it shocked the Indians. A group of young Winnebagos offered themselves up in place of their chiefs and with great theatrical emotion, Clark raised them up and praised their heart and courage. He reprieved the chiefs and offered the hand of friendship. It was all most impressive — and most effective. The Great Lakes peoples were impressed by Clark and inclined to accept his bid that they stay neutral and not raid into Kentucky. Clark also established warm relations with Fernando de Leyba, the Spanish governor at St. Louis. According to family lore, Clark fell into a star-crossed love affair with de Leyba’s sister Teresa (more on this later). The Spanish governor lent his prestige and financial and commercial support to Clark’s cause. The American cause on the frontier should have been in excellent condition as 1778 wound down. Clark had secured the Illinois country and an expedition into Ohio had established Fort Laurens in the Ohio country as a jumping off base to attack the militant strongholds on the Upper Sandusky and assail Detroit. Unfortunately, the American commander General Lachlan McIntosh was no George Rogers Clark. The campaign was a damp squib. McIntosh had turned back to Fort Pitt, leaving the garrison at Fort Laurens to be cut off and any threat to Detroit lifted away. A winter fell, Clark was in trouble. Isolated and undersupplied, his foray into the Illinois country had raised the ire of British Lieutenant Governor Henry Hamilton, known to Kentuckians as The Hair Buyer for his practice of paying a bounty for scalps (and a bigger one for prisoners) from the Kentucky settlements. British Lt. Governor Henry Hamilton. The Hair Buyer. 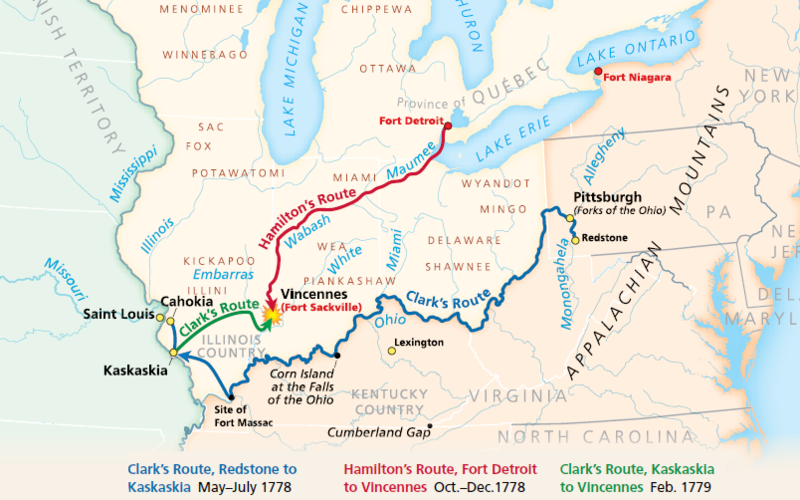 Hamilton raised a force of more than 200 British Regulars and Loyalist militia and had set out in marching southwest from Detroit in October, gathering Indians along the way to augment his force to 500 fighting men. He arrived in Vincennes on December 17, where Clark’s tiny garrison of 20 men could not hope to offer any resistance. They surrendered and the Union Jack once again flew over Fort Sackville. A St. Louis merchant who had delivered supplies to Vincennes from Clark interrupted the colonel at a ball on January 29 to give him the jolting news that Fort Sackville had fallen and that Hamilton would soon march against Kaskaskia and Cahokia with a force far superior to Clark’s. Great to see some serious popular history on site rather than youthful fluff. Thanks a bunch!